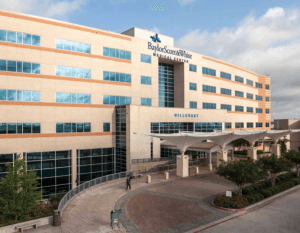 It’s 7 a.m. at Waco’s Baylor Scott & White Medical Center-Hillcrest and time for the morning report — the daily ritual where the doctors who have tended to patients through the night hand off those patients to the morning shift. Around the table at the morning report, which will be followed by morning rounds, are the attending physicians, residents and interns, all identifiable by their scrubs or white jackets. But in the mix this morning is someone new –– a young woman dressed in professional business attire. She’s a Baylor Clinical Fellow, and like everyone else in the room she is there to both learn and teach. The Baylor Clinical Fellowship is a unique and innovative collaboration in the College of Arts & Sciences between the Department of Philosophy and the Medical Humanities Program that gives graduate students in philosophy who teach medical ethics a firsthand look at the real world of clinical medical practice. Medical ethics spans a range of topics –– from treatment choices and end of life issues to resource allocation and financial dilemmas. Historically, medical ethics has been taught by theologians. “There are unavoidable questions that every human being faces which are not answerable simply by appeal to scientific knowledge. Philosophy deals with these inescapable fundamental questions,” said Dr. Michael Beaty, chair and professor of philosophy in the College of Arts & Sciences. 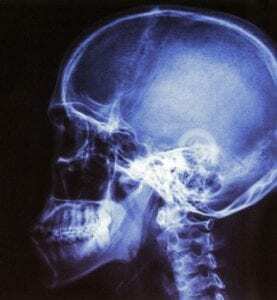 Therefore, the study of philosophy can provide a sound framework for considering ethical issues in the medical arena. Beaty himself has studied medical ethics and has taught it on numerous occasions, using the accepted practice of reviewing case studies –– summaries of real-life medical reports. “I believe I’ve taught medical ethics well in the past,” Beaty said, but he acknowledged that times have changed. Baylor’s response to the need for a deeper understanding of medical ethics is the clinical fellowship that was launched in the summer of 2017. While it is not the only program of its type offered in the United States, it is rare. “We are among a small group,” Beaty said. While the approach may not be widespread, the benefits of giving future instructors in medical ethics exposure to real treatment situations are clear, said Dr. Lauren Barron, M.D., the longtime family medical doctor who now serves as director and clinical professor in Baylor’s Medical Humanities Program. She said that while doctors working at the bedsides of patients face ethical choices all the time, the resulting case studies presented in many medical ethics lectures and textbooks don’t always reflect that –– being too pristine and lacking the chaos of real life. “So, bringing philosophers into the hospital and introducing them to the actual pragmatics that have to be considered and the contingencies that don’t show up in the theories in medical textbooks really enhances their ability to communicate and teach medical ethics after they’ve seen how difficult it is,” Barron said. The clinical fellowship was conceived over a dinner between Beaty, Barron and Dr. Michael Hardin, director of the Waco Family Medicine Residency Program. It was a collegial discussion because Barron and Hardin were medical school classmates and longtime practicing colleagues, and Hardin is Beaty’s personal physician. Those close connections and shared goals between academics and healthcare professionals have helped ensure that Baylor’s clinical fellows are welcomed and accepted by the medical staff at Baylor Scott & White-Hillcrest and incorporated seamlessly into their meetings and rounds. Clinical fellows attend at least 20 hours per week of hospital rounds for between two and four weeks. They attend the morning report at the hospital each weekday, then meet with a clinical faculty member from medical humanities at Baylor each week to discuss what they have experienced. The students are also required to keep logs that comply with the federal law regarding the privacy of medical information (HIPAA) — which will come in handy later when teaching –– as well as make a presentation to the medical team about an ethical topic and provide a written summary report at the end of their fellowship. Before they can begin the clinical fellowship, students must complete lots of paperwork, undergo HIPAA training, make sure their immunizations are current and submit to a criminal background check –– standard expectations of those working in a medical environment. They’re given an ID badge that provides access to sensitive areas of the hospital, and they’re required to dress professionally, but not in scrubs or any clothing that might prompt someone to mistake them for a medical professional. 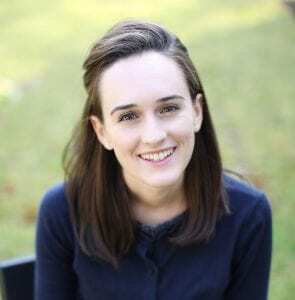 Dr. Allison Krile Thornton, who earned her doctorate in philosophy from Baylor in the spring of 2018, joined the philosophy department at the University of Southern Alabama as an assistant professor this fall. She said the clinical fellowship at Baylor in the summer of 2017 “immersed” her in the environment in which doctors must make decisions. Thornton also experienced less routine cases, such as that of a woman who was transported from hospice care to the hospital with a broken hip and who had a “do not resuscitate” (DNR) order in place. The patient ultimately canceled her DNR and requested surgery, but went into cardiac arrest and died before the medical staff could operate. Thornton talked to the attending physician afterward, who explained why she had offered the patient the option of surgery. But she also explained why another doctor could be correct in making a different decision in the case. Far away from Waco at Virginia’s Christopher Newport University, Dr. Chris Tweedt is teaching medical ethics to premed students using the experience he gained as a Baylor clinical fellow making rounds at Hillcrest. In addition to earning his doctorate from Baylor in 2017, Tweedt has earned master’s degrees from Baylor and Southern Evangelical Seminary, and has a bachelor’s degree from Iowa State University –– all in philosophy. He also spent a lot of time in hospitals with family members during his high school years, but the clinical fellowship gave him an in-depth look at the lives of doctors and the decisions they make. “In general, it was really helpful to know what their lives are like. Even just being there gave me an idea of what the culture is like among a medical team,” Tweedt said. Some days he would stay after his scheduled hours and hang out with the medical residents in the hospital lounge. “I spent time there some afternoons witnessing the kinds of conversations they had, questions they asked each other, seeing the administrative work that they had to go through and hearing some of their frustrations,” he said. Tweedt said the residents were open to his presence and would even ask his opinion. “Sometimes they were discussing something and they knew I was listening, and they’d turn to me and say, ‘What do you think?’ and we’d have a conversation about ethics,” he said. Tweedt also learned much from the attending physicians, who displayed their different personal styles and approaches to similar situations. 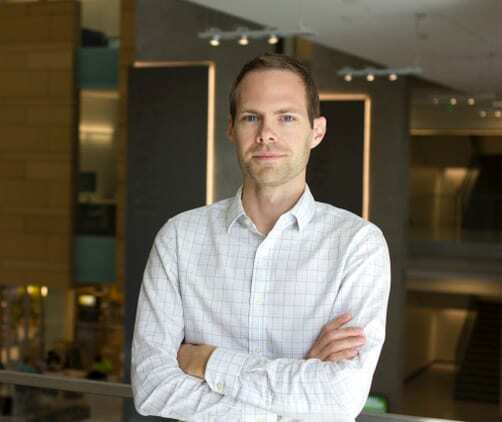 “Talking to the attending physicians helped me see what the progression of a medical student to a resident is like, and helped me to identify the various maturity levels of medical residents in that timeline,” he said. But the heart of the fellowship experience was making rounds and observing the interactions between doctors and patients. “In almost every room we walked into there were people just holding on to hope. The situations were really bad in most of the rooms. You only saw people at their worst. The kinds of authority that doctor’s words have carry a lot of power for those people,” Tweedt said. Like Thornton, Tweedt saw some difficult cases. One that stands out was a woman dying of cancer who developed a blood clot. There was a procedure available that might add a couple of days to her life, and while she was content to just let nature take its course, she agreed to the procedure to honor the wishes of her family. “It was really impactful that she, at the end of her life, wasn’t thinking about herself. That was really shocking to me,” Tweedt said. Learning from case studies still makes up the core of medical ethics course work, and Tweedt and Thornton have added to the canon by writing case studies, both together and independently, that will help them prepare future generations of doctors. Tweedt added that while medical ethics courses typically cover large-scale issues like availability of health insurance and services for under-served communities, he focuses on clinical practice. “I’m seeing that these physicians and nurses and even administrators will be able to have more of an impact in clinical practice than they will in determining what health insurance coverage or what government policies are like,” he said. In addition to presenting her own case studies, Thornton is drawing on the “guild” nature of medical education she witnessed where each level of experience and authority ––attending physicians, residents and interns –– helps teach the next. Nick Colgrove, who defended his PhD in philosophy at Baylor in April 2018, was already teaching medical ethics at the university before undertaking the clinical fellowship in May 2018. He went into the experience hoping it could add some reality to some of the more abstract principles often found in case studies. “Philosophers, whether this is fair or not, get some flak for abstract thinking that’s detached from reality in these sorts of contexts,” Colgrove said. He said one of the realities he observed during the first month of the fellowship is that ethical questions often are “entangled” with each other in real life. Colgrove also observed how prevalent ethical issues are in medical practice and how quickly they must be resolved. Dr. Lauren Barron said the experiences gained and shared by Colgrove, Tweedt and Thornton are exactly what she and her colleagues hoped for when they came up with the idea for the clinical fellowship. The reports and debriefing sessions with the fellows are adding content to the orientation for future participants. And they’re illuminating another desired result –– the students are learning, but they are contributing to the medical teams as well.